So last week’s wine blog was about Spring…. and how many people tend to have their first barbecue of the season right about now. Well, this is what Wednesday, March 26th looked like in Halifax, the left being a view outside of the Radio Station I work at, and the second my poor BBQ tied down so it didn’t blow away in 120 kmh winds. 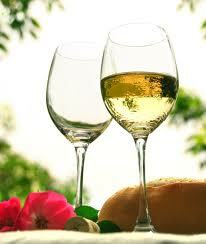 We’ll try the BBQ and wine matching blog again a little later on in the Summer. Spring in Atlantic Canada… come on California. Speaking of California, I’ve been doing a fair bit of research lately on New World Wine done in Old World Style. I’m doing a presentation for my wine school as part of my journey to becoming a Sommelier. So I thought I would share some of what I’ve learned and share some really unique tasty wines from New world Countries done in Old World Style. Quick run-down on what I mean by Old World and New World. Old World wine regions have been making wine for a thousand years or more and include countries like France, Italy, Spain, Portugal, Germany – just to name a few. When many people think of Old World they think of European countries. New World vineyards have been making wine for under 200 years, and many of them, including California and Canada, just finding their stride in the last 50 years or so. Old World wine regions tend to be revered by many, and make their wine with terroir in mind and tend to be bound by tradition. New World wine, not so much. However, don’t get me wrong, I love New World wine. Wines from New Zealand, Australia, California, Oregon and Canada rank among some of my favorites. And I especially like their attempts at making New World Style Bordeaux. I know many are going to disagree with me on this, but the blog is called ‘In My Opinion’ for a reason – what can I say I like them. So, a Bordeaux wine is always a blended wine using allowable grapes. The allowable grapes include Cabernet Sauvignon, Merlot, Cabernet Franc, Petit Verdot, Malbec and Carmenere. In the New World, a wine done in the style of Bordeaux is called Meritage. 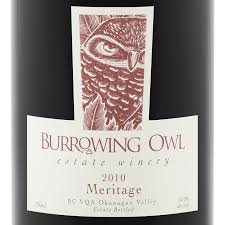 This one from Burrowing Owl in the Okanagan is one of my favorites. 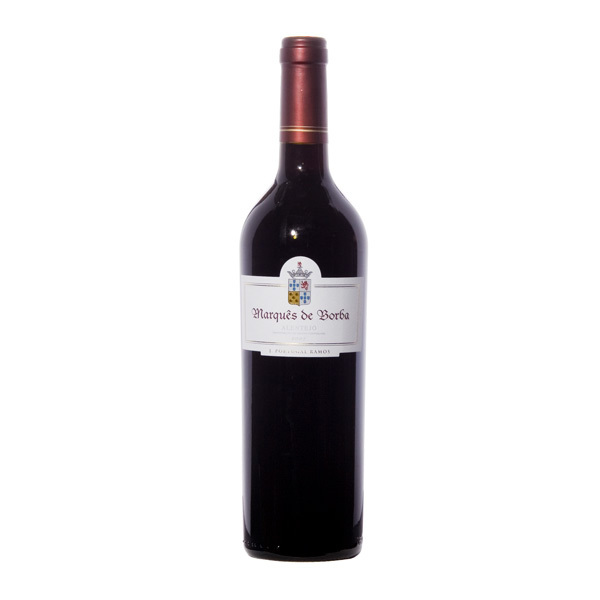 This wine, meant for aging, has delicious aromas of plums, cassis, cherry and cocoa. And on the palate – smooth and elegant with big juicy flavors of plums, cherry, raspberry and spice. This is a beautiful wine to go with roast beef, or once it warms up, anything done on the grill. 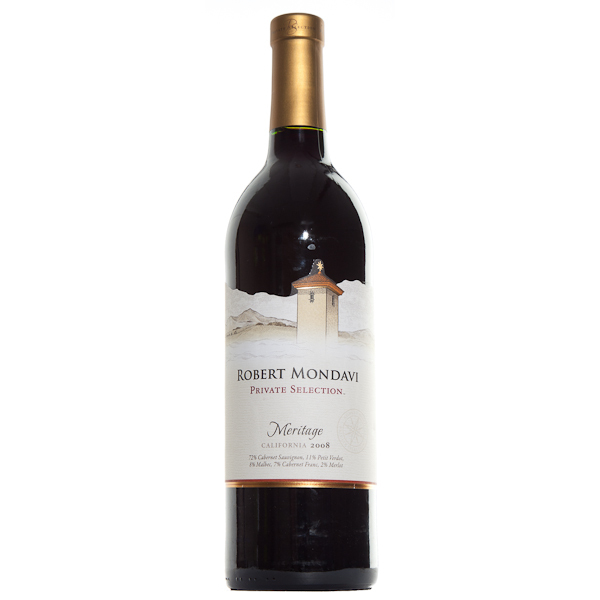 Here’s another Meritage, this one from Robert Mondavi in California. At $20 a bottle, this is a great wine at a great price. Robert Mondavi was inspired to create this wine after travelling abroad and tasting the wines. Lots of beautiful ripe fruits on this wine that can be enjoyed now or it can be aged if you so choose. When Eleanor of Aquitane married the King of England, Bordeaux was under English rule. It didn’t take long for the English to fall in love with wines from Bordeaux, and put the name Claret on them. (not Clar-ay – .. Clar-it is how it’s pronounced) I have written about one of my favorites – the Francis Ford Coppola Black Diamond Claret out of the Napa Valley. 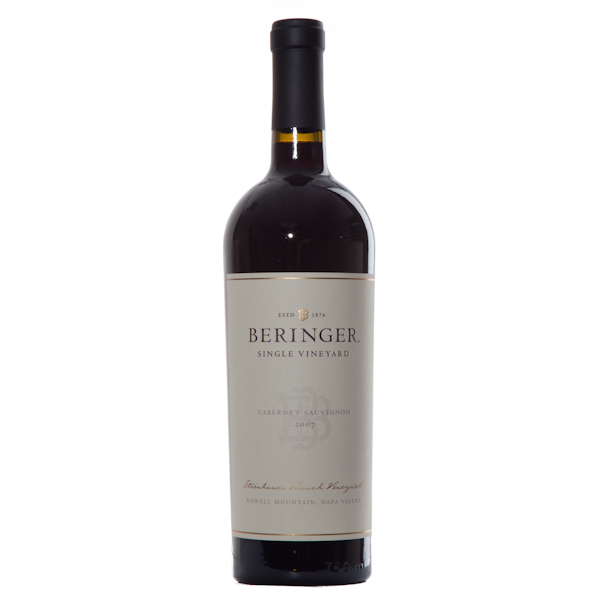 This Cabernet Sauvignon dominant wine is full-bodied, well structured and full of flavor. It’s a big wine that will hold its own against any meat. And it’s not just Bordeaux that get’s copied. Oregon is on the map as some of the finest producers of Burgundian style Pinot Noir. And they are doing Riesling, a wine that many people think of Germany when they think Riesling, in fine style as well. Here are two examples. The Firesteed Riesling and the Firesteed Pinot Noir. The Riesling is a gorgeous example of a Riesling from Oregon. Full of aromas mandarin orange, lemon zest, and melon. This is one of my favorite wines to have with spicy food, Asian cuisine or Chinese food. It can also be paired very well with chicken and a whole array of other dishes. If you’re reading this, please feel free to share your favorite Riesling dishes. The Firesteed Pinot Noir with its vibrant flavors of cherry and spice will feel like your first taste of summer. And heaven knows we all need a little summer. If you have been dumped on this week by snow or cold temperatures – hopefully some of the wines mentioned will help warm you up. If you’re enjoying Spring like temperatures, please share with the rest of us where you live! When people tend to see my BBQ, mouths tend to gape. Yeah, it’s a big one, holding 43 hamburger patties, and I love it. Last night for example, it was +6 degrees, so I barbecued a stuffed butterfly pork chop with a hot and sweet mustard sauce and I did wings. I love wings… And one of my goals in life is to make the best wings. And I never BBQ, without a glass of vino in my hand. It’s not the same. So I have found some fantastic wines to go hand in hand with your favorite BBQ foods. Just in case you’re thinking of kick-starting the grill this first weekend of Spring. So this is the wine I had with my pork chop last night. 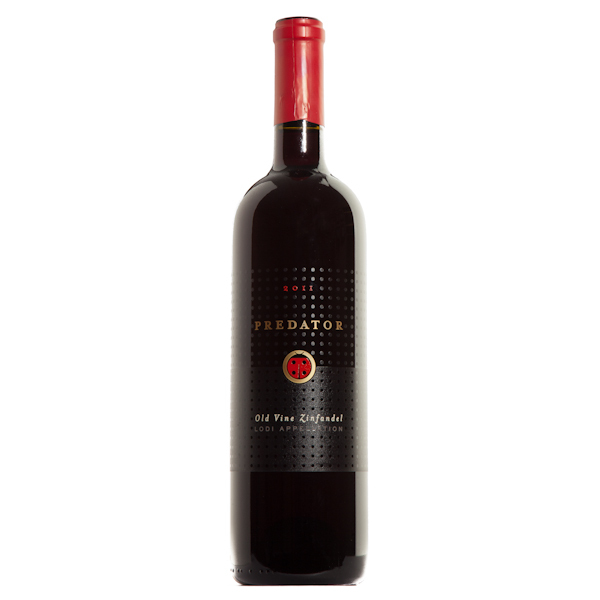 It’s the Predator Old Vine Zinfandel out of California. Central California is known for its Old Vine Zinfandels’ and this is one of my favorites. This wine is sourced from vines that are 50+ years old, and the older the vine the sweeter the fruit. You can quote me on that. Smooth, velvety texture, with a hint of spice. This spice and the rich round smoothness of the wine make for a very food friendly wine. One of my friends, Jayme, told me this past week she often wonders why she likes a particular wine as much as she does. That’s the beauty of having so many choices, there is a wine for everyone. Jayme and I have very similar tastes in wine, so Jayme, I hope you try some of the wines in this weeks blog. 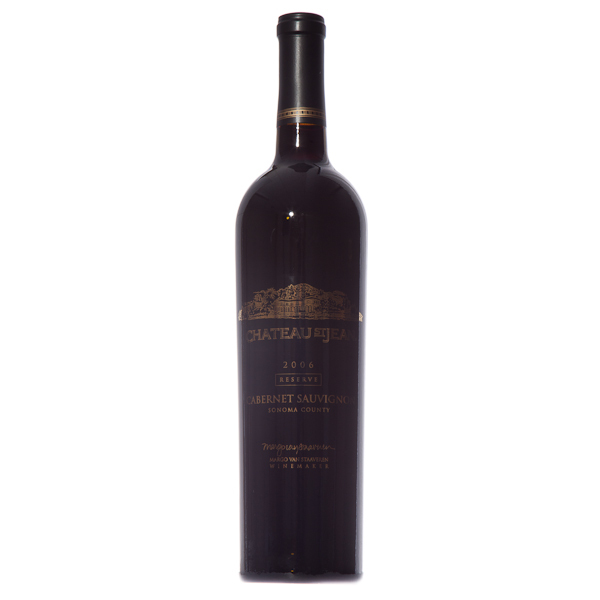 Here’s a new Zinfandel I tried this week, and at $12.99 a bottle, it offers a tasty Zinfandel at an amazing price. 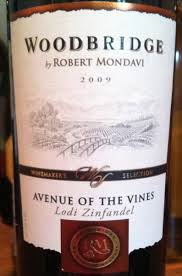 The Woodbridge Mondavi Zinfandel is full of personality with flavors of black pepper, plums and baking spice. Quite a nice surprise from the price point, but I recommend for everyone to try it. Tomorrow night I am having my sister and her husband over for dinner, and I promised George that I would grill him a steak. George is a meat-loving guy. And I have a few different wines in my wine rack at the moment that will go well with the wine. The first wine that comes to mind for me is Cabernet Sauvignon, and it’s hard for me to talk about Cabernet Sauvignon with steak and not mention Carnivor Cabernet Sauvignon. From California, known for making Cabernet Sauvignon the “King of Cabernet”, this big meaty Cabernet would probably be one of the reasons why. 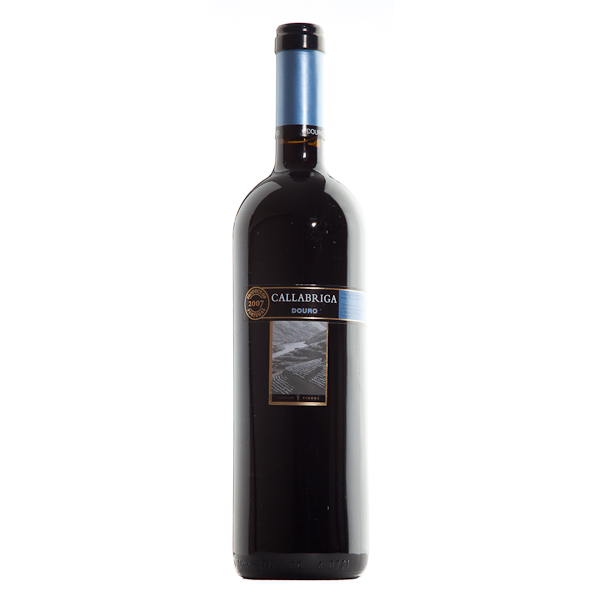 It full-bodied and bold, a big wine with big flavors of jam, chocolate and spicy tannins. This wine is a mouthful, and it should be. The other Cabernet I chose is from Chile. If you want to try some new delicious full-bodied Cabernet Sauvignon, head to the Chilean section of your local wine store. Chile is the new up and coming producer of Cab, and they are doing it incredibly well – at incredibly good prices. The Maipo Valley in Chile is leading the way in Cabernet and this one from Errazuriz is juicy with black pepper flavors and a subtle toasted oak flavor that will compliment the wine, not over-power it. 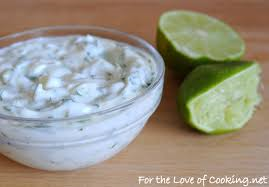 My friend Jayme, is also the friend responsible for my latest addition, cilantro flavored sour cream. We buy it at our local farmers market and this stuff is amazing. I have tried to make it, not quite making it so good, but I’m going to keep trying. 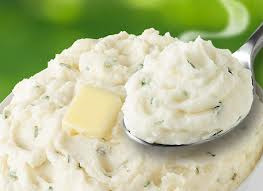 So, I am thinking of making this cilantro flavored mashed potatoes for my dinner tomorrow night with the steak. I know, it’s going to be fantastic. Because of my choice of sides, there are many more wines that will pair well with this steak. 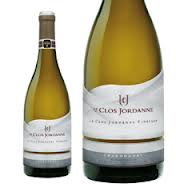 For all the white wine loving friends, there are several that are big enough to stand up to steak on the grill. 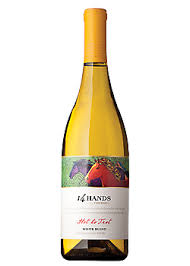 The 14 Hands Hot to Trot white blend is predominately Chardonnay with Pinot Gris and Semmilion from the wonderful state of Washington. 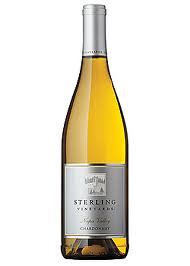 White stone fruit and citrus make for a vibrant twist on a Classic Chardonnay. Flavors of lemon zest and crisp acidity will match well with those mashed potatoes. The wine next to it is a wine I tried in a tasting this past week. Classic California Chardonnay at its best. Medium to full-bodied, flavors of apples and pear, and a smooth as silk finish makes this a great pairing for your BBQ. 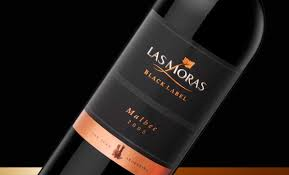 Other wines that I could serve at this BBQ is the Las Moras Black Label Malbec from Argentina. Argentina makes an amazing Malbec, and I encourage you to try one soon. 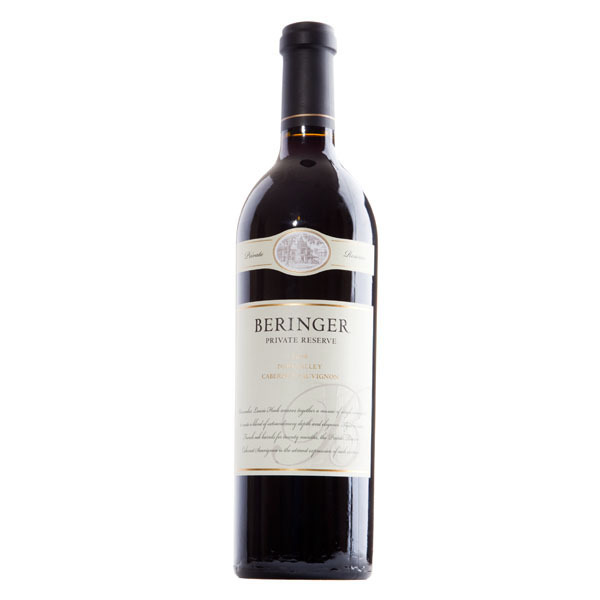 This award-winning Malbec is full of rich flavors of coffee, smoke and ripe red fruit. It can also be served with lamb and pasta and a myriad of other dishes. It would be a crime for me to talk about the grill without bringing out a Shiraz…. and when I think of great Shiraz, I think of Australia. 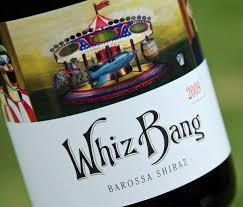 The Whiz Bang is a beautiful expression of a Shiraz from the Barossa Valley in Australia. Raspberries, plums, white pepper and spicy vanilla toasted oak will have you asking for a second glass… (maybe even a third). 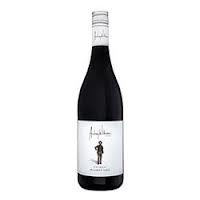 And the next wine is the Audrey Wilkinson Shiraz, and I mentioned this one for two reasons. 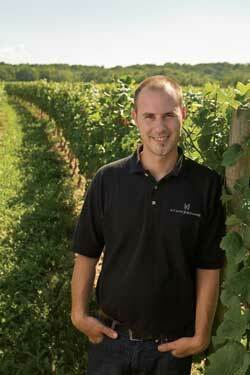 One, it’s a fantastic wine, and two, the winemaker, Jeff Byrne, is from right here in Nova Scotia. He makes a beautiful Shiraz that packs a punch of gorgeous flavors and subtle oak. I have one in my rack I’ve been saving, and I think I found tomorrow night’s wine. 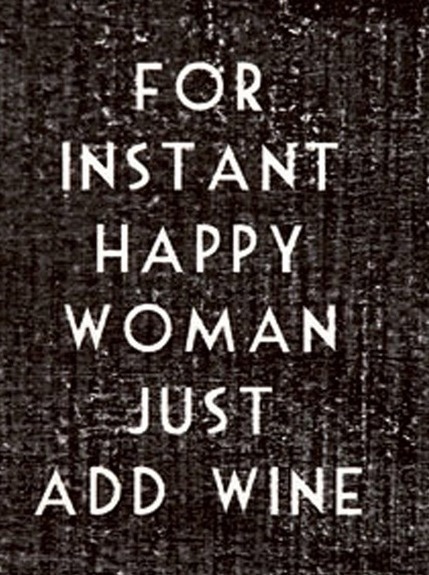 And that’s it for this week… Yes, a happy woman is a woman with wine. I love hearing from you, so if you have a suggestion for your favorite wine with BBQ foods, please drop me a note. I Wish They All Could be California….. Wines!! On my quest to becoming a Sommelier, our current studies have been on California and its gorgeous wines. I love my classes, and just to prove it, I have been doing extensive homework with a wide variety of California wines. And if the Beach Boys thought the California girls were great, just wait till you taste the California wines. 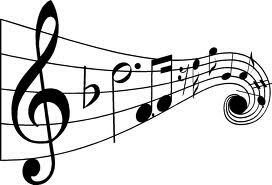 Let’s start with this baby. At under $15, it’s a fabulous deal and full of fantastic flavors. (My, that’s a lot of F words – and not the ones I usually use) Black cherries, raspberry, vanilla and spice make for all things nice in a wine. I had it with a BBQ, which won’t come as a surprise to my regular readers, but it does go very well with grilled food. Here’s another one of my favorite Zinfandel’s from California. 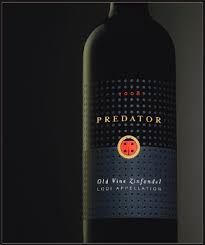 It’s the Predator Old Vine Zinfandel. A little higher up in the price scale, but just a gorgeous expression of Zinfandel, with rich flavors that can only come from an old vine, and in this case the vines are 50+ years old. Juicy and spicy with hints of bacon (hello!) and chocolate – what’s not to like. And it goes down like velvet. You cannot talk about wine in California, without talking about Robert Mondavi. He was a leading California winemaker, many say he was ‘the’ leading California winemaker, responsible for bringing Napa Valley wines to worldwide attention. His was the first vineyard built in the Napa Valley and with his smart technical improvements and savvy marketing skills history was made. The wine on the left is from the Robert Mondavi Private Selection and is great value. It sells for about $20 a bottle and is a favorite of good friends of mine. The Robert Mondavi on the right was a birthday gift to me from those friends that are fans of Robert Mondavi. It’s on the other end of the price scale. The wine on the left is delicious with flavors cherry and spices. The wine on the left is heaven in a bottle. Deep, dark and full of complex flavors. I know I talked about it last week, but in case you missed that, it was elegant and full flavored and one of the best Cabs I have ever had. I found it very interesting that Robert Mondavi himself is not a big fan of the lower priced wines that carry his name. 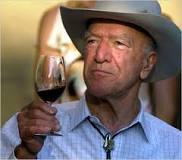 In 2003, Mondavi criticized his sons for the business strategy that emphasized the inexpensive lines. He said it allowed the company name to lose its association with the fine wine it was known for in the past. 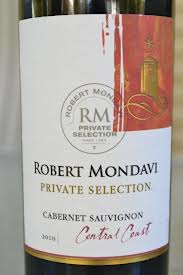 Robert Mondavi started his vineyard in 1966 and his goal was to produce wines that would rival the finest in Europe. And in the Grand European Jury Wine Tasting of 1997, the Robert Mondavi Chardonnay Reserve was ranked number one. 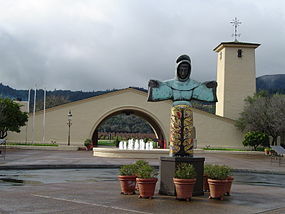 What many don’t know is that the family no longer owns the Robert Mondavi winery. 3 days before Christmas in 2004, there was a controversial takeover by Constellation Brands. 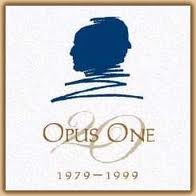 In 1979 he partnered with Baron Phillipe de Rothschild of Chateau Mouton Rothschild, of Bordeaux fame, to create Opus One Winery, which you may recognize, and also has joint ventures with local partners in Europe, Australia and in South America with the Errazuriz name. 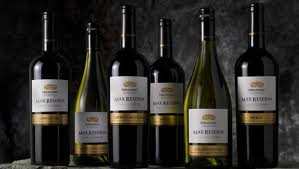 Although Robert Mondavi died in 2008 at the age of 94, following the sale of the company, Mondavi partnered with his youngest son Tim Mondavi and daughter Marcia to make a single wine from a single estate at the highest level. 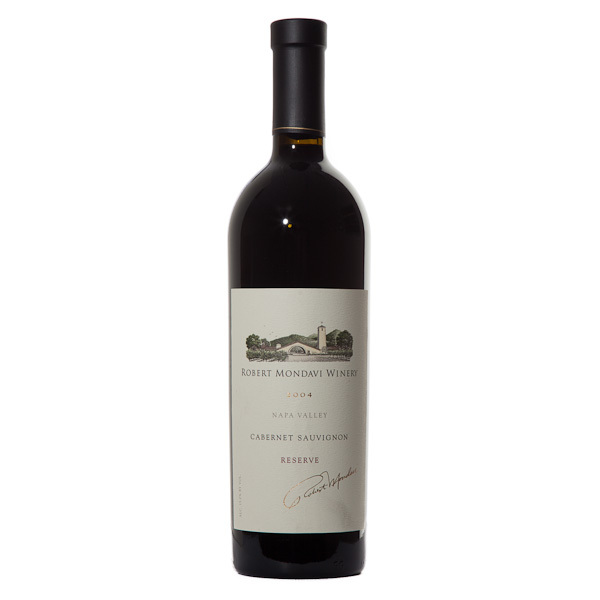 The family partnership Continuum Estate is still run by Robert’s son Tim, daughter Marcia and grandchildren Carissa Mondavi, Chiara Mondavi, Carlo Mondavi and Dante Mondavi. California has a wine for everyone. Many great wines come out of California, and not just the Napa Valley. 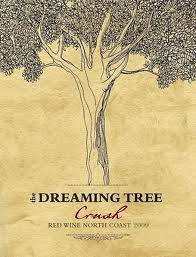 Think Cheateau St. Jean, Beringer, Dreaming Tree and Calera just to name a couple that are available here in Nova Scotia. Josh Jenson became a pioneer by wanting to find the perfect spot to grow the heartbreak grape Pinot Noir, and rival the finest Burgundian Pinot Noir. 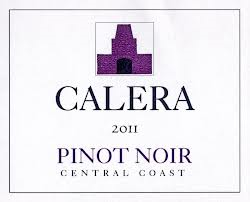 This is a quote from the Calera website: Even Robert Parker is convinced: “Calera is one of the most compelling Pinot Noir specialists of not only the New World, but of Planet Earth.” Believe me, I have tried and enjoyed Calera Pinot Noir from the Central Coast line. And they are right! Compelling is a great word to use. I also like balanced, rich and goes with everything food friendly. I could probably spend the next month writing about California wines. I really enjoy them, and visited the Napa Valley in 2001. I spent 8 glorious days enjoying the many wines of the Napa Valley that we can’t get in Canada. 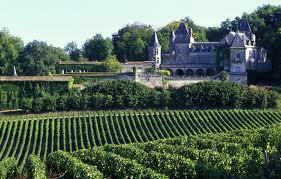 It’s a beautiful spot with rolling hills of vineyards and the people are fantastic and nice. I still want to move there one day. Aren’t these pictures beautiful? They are pictures of Portugal and although I haven’t been to Portugal yet, in the past couple of months, I have had a couple of fantastic wines from Portugal. We recently studied Portugal when I took Old World Wine and we tasted a number of wines, and I’ve also had a couple of bottles of Portuguese wines given to me lately. So today we are going to venture to Portugal – a country that has fantastic wines, yet it amazes me when I talk to people, how few have tried the wines from Portugal. So here’s hoping today’s wine blog has you going out and trying a wine from this country. I took this picture last night. I was having my Buffalo Chicken Southwestern Salad for dinner (after having a big lunch) and I have found the perfect wine to go with anything spicy and/or anything salad. This wine went together with the Buffalo Chicken like a long married couple. I love hot and spicy food, including Thai food, Indian cuisine, you name it. This is perfect, and perfectly affordable. 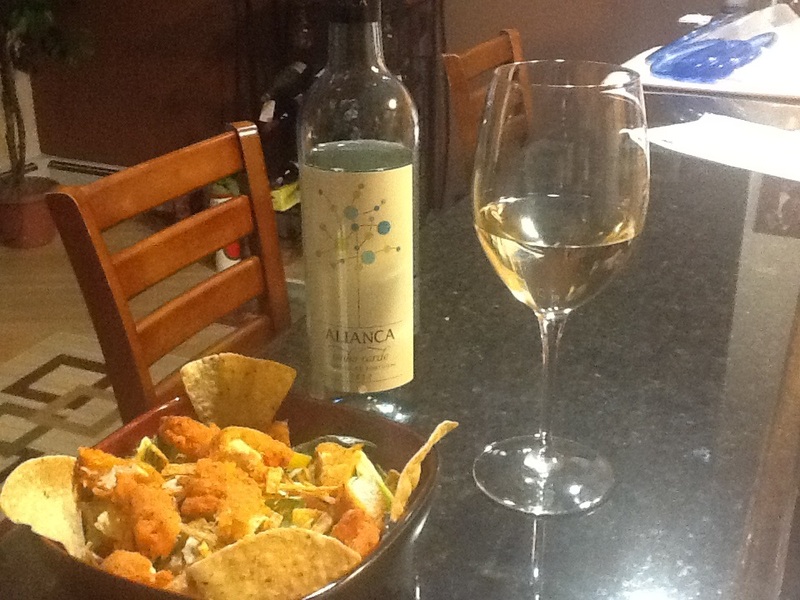 The wine is Alianca Vinho Verde from Portugal. Fresh, crisp with the perfect amount of acidity. The citrus and tropical fruit flavors together with some effervescence make this wine refreshing and fun to drink. Don’t get effervescence confused with sparkling. It is not a sparkling wine, but there’s just enough spritz to really bring out the flavors. 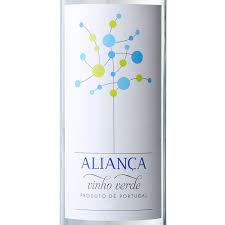 Another Vinho Verde I have tried recently while studying about wines in Portugal is this one. The Quinta Da Avaleda is a little dryer, but still tasty nonetheless. Those light fresh citrus notes are there along with some minerality and I understand this is a great wine that goes with mussels and oysters. As most of you know, I am allergic to most seafood, so I’m taking the word of people smarter than me on this subject. Another find from Portugal for all my red wine drinking friends, is this one. This beauty from Portugal is under $20 as well, and it’s full-bodied, rich and has gorgeous fruit flavors mixed with notes of chocolate. What’s not to like about this wine? It’s big and bold and will complement any beef dish you would want to serve. When people think of Portugal, they may be thinking just Port. There is much more to Portugal than just Port. Wines from Portugal are yet to be discovered by many people, and this is a country where wine and food are so important to the people. Known for hearty portions and big meaty dishes, Portugal offers a wide variety of wines from different regions, all focusing on the strength of that region. Here’s one more I’ve tried recently. Made from Tempranillo and Touriga Nacional, this heavy duty baby can stand up to anything you put on a grill. With its fruit driven flavors and hints of wood and herbs, this was meant for meat. Touriga Nacional is a local grape variety from Portugal and many people believe one of the best, as it adds body and structure to wines. When I started my journey to becoming a Sommelier, I promised I would bring you along with me, by sharing what I’ve learned about different wines from around the world. Portugal was fairly new to me until recently but if you want great wine at reasonable prices, head to the ‘Wines from Portugal’ section of your favorite wine store. You won’t be disappointed.